Leonard Newmark (Professor Emeritus from the University of California, San Diego) led this project which was an adaptation of his Oxford Albanian-English dictionary for the internet. With over 58,000 headwords, the Albanian-English dictionary provides detailed semantic and syntactic information for each entry. Use of the Albanian-English Grammatical Dictionary is absolutely free. Users need only create a login and password. The records which are preserved in the State Central Archives in Tirana, and in district archives, are all-inclusive regarding their origin, type, support, place and time of creation and in respect with information they have. The first record is dated as 6th century. General information and statistics about Albania, with the following subdivisions: introduction, geography, people, government, economy, communications, transportation, military, and transnational issues. The Institute for Contemporary Studies (ISB) is an independent non-for-profit institute established in December 1995 offering alternative and independent policy analysis and recommendations. Albania's national institute of statistics provides social and economic indicators. Crisis Group's Europe program researches and advocates on the Balkans [Albania, Bosnia & Herzegovina, Croatia, Kosovo, Macedonia, Montenegro, Serbia], the Caucasus [Armenia, Azerbaijan, Georgia], as well as Cyprus, Moldova, Turkey and Turkey/Cyprus. In addition to its various reports, you can search the CrisisWatch database for access to its monthly bulletins. The documents provided on this website bring together texts focusing not only on the emergence of the Albanians as a people, i.e. early references to them, but also subsequent texts providing a broader view of the history and geography of Albania, and, in particular, of the life of the Albanians over the centuries. These included reports of travelers and chroniclers, many of whom offer fascinating, first-hand glimpses of what they experienced during their travels in the country. This is a web site dedicated to the publications of the Department of Ethnology and Anthropology Faculty of Philosophy, University of Belgrade. It also houses publications that other institutions for ethnology and anthropology publish. Downloading of all monographs and journals at this site is free. On 31st October, 1945, the National Government of Slovenia established the Central State Archives of Slovenia, which began to operate as an independent institution. In 1953 it was renamed the State Archives of Slovenia. In 1966 its title was changed to the Archives of Slovenia, in 1979 to the Archives of the Socialist Republic of Slovenia, and in 1991 to the Archives of the Republic of Slovenia. In 1990, after the political changes, the so-called “special archives” were abolished and merged with the national archives. The Historical Archives of the Central Committee of the League of Communists of Slovenia merged with the national archives in 1990, the former Archives of the Institute of the History of the Labour Movement (later renamed the Institute of Contemporary History) was included in 1992, and in 1998, so was part of the Archives of the Ministry of Internal Affairs, which kept records of the National Security Agency. Includes guides, inventories and lists of publications. This is an early version of a searchable online "database" (currently two PDF files) that compiles the aspectual pairs and English definitions of Croatian and Serbian verbs. Our project is designed for learners at all levels of the language, and instructors and researchers in South Slavic linguistics. The online resource contains 4,000 of the most commonly used Croatian verbs in Latin orthography and their 4,000 Serbian counterparts in Cyrillic orthography. The database gives multiple imperfective and perfective forms of the selected verbs, their verbs’ lexical prefixes, their case governance, and their English meaning. Given that verbal aspect is one of the most difficult-to-master characteristics of Slavic languages, this will be a valuable resource to help the user navigate this complex system with confidence and choose the right verb for the right situation. Includes a digital version of the journal "Arhivski Vjesnik" 1899-2008, as well as a list of federal and regional archives. 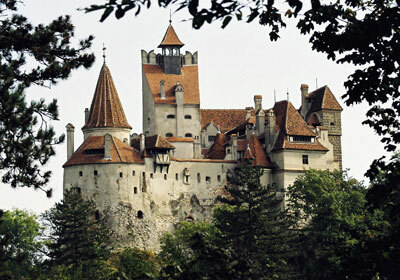 The Digital Library of Slovenia is a web portal providing ready access to knowledge and cultural treasures. It offers free searching of text, visual and sound resources, which means that you can read, watch and listen to the resources. Mediacentar was founded in 1995 in Sarajevo, Bosnia and Herzegovina. The founder of Mediacentar is Open Society Fund BiH, and since 2000, the centre has been registered as a separate educational and research institution. One of its projects is the INFOBIRO Digital Archive which provides free access to the full-text of selected titles from the Ottoman period (1850-1878) to Communism (1946-1989). Only a few titles are currently available (Ottoman to Austro-Hungarian eras), with more titles to be added. Access to digital versions of current publications is by subscription only. This site includes full-text open-access to more than 369 contemporary scholarly Croatian journals in the social sciences & humanities, as well as science and technology. Includes links to information the Constitution, the Executive, Judicial, Legislative branches of government, legal guides and general sources. The National and University Library “St Kliment Ohridski” (NUL) -Skopje is one of the first national institutions founded in the Republic of Macedonia in 1944 after the Second World War, when Macedonia becomes one of the six federative republics of Yugoslavia. It represents a continuity of the rich library tradition on the territory of Macedonia dating from 9th century, the time of the well known brothers Cyril (826-869) and Methodius (820-885) and their disciples Clement and Naum. They wrote the first books in Slavonic language and organized many translations of religious books during their educating mission. These books formed the first book stocks that were stored in churches and monasteries, which in fact were the first libraries to be founded on the territory of Macedonia. Includes links to the Bibliography of Serbia and the Serbian Bibliography of Books 1868-1944. A digital version of Politika. The Society is a scholarly, non-profit organization dedicated to fostering closer communication among scholars interested in Slovene studies and to promoting the dissemination of scholarly information on Slovene studies through the organization of meetings and conferences, and through the preparation of scholarly works for publication. State archives of Montenegro were founded in 1951. It inherited the documentation of the State archives of Montenegro which started operating in 1895. It owns the records of Montenegrin ministries from the very beginning of their work, back to 1879, the records of the Great Court, State Council, Ministerial Council, National Assembly and other administrative bodies founded up to 1916 as well as of emigrant governments that operated between 1916 and 1921. and Montenegrin Unification Committee (1917-1918). As a home institution, State Archives of Montenegro have been overtaking the records of the republic registry offices and institutions ever since it was founded. They process the material and make it available for scientific researches. State Archives of Montenegro preserve over 75 archive funds containing four and a half million of different documents in its terminals. Stamps & sheet of a 13th c. St. Methodius miniature issued to mark the 100th anniversary of the Cyril and Methodius National Library. The American Research Center in Sofia (ARCS) was established in 2004 as an organization dedicated to facilitating academic research in Bulgaria for North American scholars and collaboration between scholars from North America and countries in Southeast Europe (Albania, Bulgaria, Kosovo, Macedonia, Montenegro, Romania and Serbia). Cornell University is the host institution of ARCS in the United States. ARCS is registered in the United States as a not-for-profit corporation and in Bulgaria as a non-profit foundation. Includes many useful links to research sites on Bulgaria. The Bulgarian „Brown” Corpus is compiled in conformity with the methodology elaborated at the Brown university (Brown university, Providence, Rhode Island, USA) and used in the compilation of the well-known Brown Corpus of Standard American English. The Bulgarian „Brown” Corpus consists of 500 text samples distributed in 15 categories from two types of texts - fiction and informative prose. Samples' length is set at 2 000 words with the precise number of words varying, as the adopted methodology envisages respecting sentence boundaries. The corpus amounts to 1 001 286 words. The samples are excerpts from texts created or published for the first time in the period 1990-2005, the main part dated after 2000. The corpus is supplied with the relevant documentation. Finally, checks for wrong replacement of Cyrillic letters with Latin characters, as well as spelling and punctuation checking were performed. The first version of the corpus was compiled in 2001-2002. Some of the principles underlying the Brown Corpus such as originality of the texts, recentness of creation, etc. had to be disregarded in order to provide sufficient coverage of all categories. The experience gained in creating first version along with the significant increase of publications made electronically available in the period 2002-2005 afforded and greatly facilitated the compilation of the second version of the corpus. Bulgarian National Corpus (BulNC) is a large representative corpus of Bulgarian, publicly available for research and educational purposes. A web-based search application provides access to the corpus. BulNC is constantly enlarged and developed. The aim is to ensure representativeness and balance of the data by including texts from different modality (written and spoken), various time periods, domains and genres. Includes language materials, online dictionaries, online media and news, bulgarian language fonts, etc. The oldest library in Bulgaria. Includes Slavonic, Greek, Turkish and Persian manuscripts, images from the Photography collection, full-text of selected periodicals from 1844-1944, selected publications from the 15th-20th centuries, albums and art catalogs, maps and original graphics. Opened in 1926 with 26,000 volumes from diplomat and bibliophile, Joannes Gennadius, the Gennadius Library now holds a richly diverse collection of over 119,000 books and rare bindings, archives, manuscripts, and works of art illuminating the Hellenic tradition and neighboring cultures. Located in an architecturally significant building across the street from the main American School campus, the Library has become an internationally renowned center for the study of Greek history, literature, and art, from ancient to modern times. In addition to its role as a library and research institution, “the Gennadeion” is also an active participant in the Athenian and international community through its public lectures, seminars, concerts, exhibitions, and publications. Includes links to the National Assembly's State gazette, its committees, ministries, agencies, commissions, as well as its official gazette. The Repertorium of Old Bulgarian Literature and Letters was conceived as an archival repository capable of encoding and preserving in SGML (and, subsequently, XML) format archeographic, palaeographic, codicological, textological, and literary-historical data concerning original and translated medieval texts represented in Balkan Cyrillic manuscripts. The files are intended to serve both as documentation (fulfilling the goals of traditional manuscript catalogues) and as direct input for computer-assisted philological research. Online library of works by Bulgarian authors from all eras. Works can be found under author, title or literary time period. Also provides biographies of authors. In Bulgarian, but some works and biographies have been translated into English, French, German, Russian, and Hungarian. Founded in 1878, the National Library is the largest research library in Bulgaria, and an archival repository for all Bulgarian print format publications. In addition, it is a national bibliographic center. Its many collections include Slavonic, GreekOttoman manuscripts; Ottoman, Arabic and Persian documents in their Collection of Oriental Archives & Newer Turkish Arachives; a collection of 30,000 volumes in Old Church Slavonic; a Bulgarian Historical Archive with over 1.5 million documents in over 700 fonds; and a Portraits and Photographs collection numbering 80,000. The General department of archives at the Council of Ministers (GDA) it's the state institution in Republic of Bulgaria that performs in national scale the policy on the collection, the preservation, the organization and the use of archival documents with historical value. The World Academy of Rusyn Culture is an academic and charitable institution founded by Steven Chepa in 2001 for the purpose of encouraging new work and preserving the insights and beauty of Rusyn culture for the benefit of all mankind. The Prague City Archives collects, preserves, processes and makes available archival materials documenting the historical development of Prague since the medieval era up to the present days. The Archives is one of the Departments of the Prague City Hall. The Archives monitors the disposals of the documents of the City of Prague authorities, Prague municipal district authorities and organisations operating across the territory of the capital, which are established, managed or can be abolished by the City of Prague or its municipal districts. The Archives also takes care of archival materials of the historical predecessors to Prague authorities and organisations, and selects documents with permanent information and historical value belonging to other legal entities and individuals whose activities are related to Prague. At present, the archival collections and databases consist of almost 18,000 metres and more than 430,000 library units. A list of archives and literary establishments in the Czech Republic. A project to photograph the cemeteries and headstones of The Czech Republic. The goals of this project are to promote genealogical research and to create a photographic record of the headstones, art, cultural icons, and history found in Czech cemeteries. Contains over 30,000 records of names with approximately 7000 names are being added monthly. Contains links to national and regional archives throughout the Czech Republic. Includes links to the Czech National Corpus, fiction, poems, songs, translations, jokes and games, words and their forms, etc. The Czech National Corpus (CNC) is an academic project focusing on building a large electronic corpus of mainly written Czech. Institute of the Czech National Corpus (ICNC), Faculty of Arts, Charles University in Prague has been in charge of the CNC, its expansion, development and other related activities, particularly those associated with teaching and advancing the field of the corpus linguistics. This collaboration of libraries and archives aims to digitize and provide free open access to historic newspapers, journals, almanacs, monographs, photos, maps and postcards from Central and Eastern Europe. An archive of more than 50 digitized Czech periodicals. Digital library Kramerius is a project of the National Library of the Czech Republic. The digital library contains more than 6 millions of scanned pages. Some of the documents are in German, Russian, English and other languages. Provides full-text of hundreds of periodicals and monographs. Includes an English version. 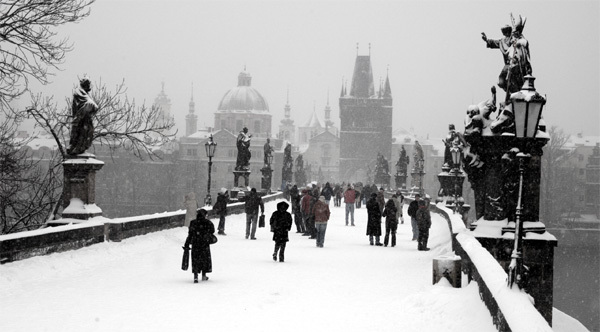 It is intended mainly for the promotion of Czech literature abroad. The aim of the Portal is to provide information on contemporary Czech authors and their works (novelists, poets, playwrights, essayists including authors of literature for children). It is not the purpose of the Portal to stand in for the comprehensive range of academic sources available in this area. The service we seek to provide is that of a modern, centralized source which is regularly updated, comprising information on the literary life of the Czech Republic in its broadest sense. The information is intended to reach abroad: scholars (including students), translators, editors, literary centres, organizers of literary events (festivals, fairs, readings, exhibitions), journalists, compatriots and regular interested persons in the Czech literature. Dailies and periodicals covering all spheres of social life. Features dailies and periodicals including two communist party dailies "Rude Pravo" (Czech) and "Pravda" (Slovak), economic publications such as "Hospodarske Noviny" or "Zemedelska Ekonomika", and a number of military periodicals such as the "A-Revue". Also includes publications of all legal political parties and cultural publications. Includes regional dailies as well as Prague publications. 50 titles in all. An online portal for the Prague Spring archival materials within Texas ScholarWorks and the LBJ Presidential Library. Dedicated to promote the study of Modern Greek literature and culture. Links to literary sites and organizations, bibliographic information, and full-text editions of works of Modern Greek literature. Welcome to the first portal of the General State Archives’ Central Service. The G.S.A. is a centre of national heritage and its main goal is to protect and preserve Greek historical memory. Through this new portal the vast archival collection of G.S.A., from pre-revolution years until our times, becomes available to all. Public and private archives, documents and manuscripts collected throughout modern history provide testimony of the national cultural heritage as well as an inside view of the administrative, economic and social life of Greece. Maintained by the Library of Congress. Includes links to sites concerning: Bussiness & Economics, Culture, Education, Embassies, Genealogy, Geography, Government & Politics, Health, Languages & Literature, Libraries & Archives, etc. The Greek Manuscripts Digitisation Project, funded by the Stavros Niarchos Foundation, was a pilot project devoted to the full digitisation of 284 Greek manuscripts from the 11th-18th centuries. The 250 manuscripts initially selected for this project were chosen because they offered a good range of different types of Greek manuscript and included some notable highlights of the British Library's collection. These manuscripts, all from the Additional Manuscripts collection, were also at the time amongst the least accessible since they had not yet been catalogued to modern standards. The project has created full digital representations of all text-bearing pages of these manuscripts, as well as summary catalogue descriptions, and has made these freely available via the British Library's website. There is access by manuscript number, author, scribe and title. Τhe Hellenic Literary and Historical Archive, better known as E.L.I.A., is a cultural non-profit organization. Its basic aim is to collect, preserve, classify, research and publish 19th and 20th century archival and printed material, particularly that which relates to the modern history and culture of Greece. It maintains an exceptional collection of over 900 archives of historical, literary, economic and artistic content. Links to the works of specific writers and poets, essays and opinions, all about Greece, genealogy, and more. In Greek and English. Meta-directory gathering together a large number of Internet sites in the area of Modern Greek literature. Includes citations to full-text editions of works of literature. An American-based, non-profit academic organization, dedicated to the promotion of Modern Greek Studies in the United States and Canada and conversant internationally on all issues, historical and contemporary, which pertain to Greek matters. The Patrologia Orientalis Database (POD) is a collection of patristic texts from the Christian East, including works, recorded in non-Latin languages, that come from geographical, cultural, or religious contexts somehow linked to Rome or the Eastern Roman Empire. 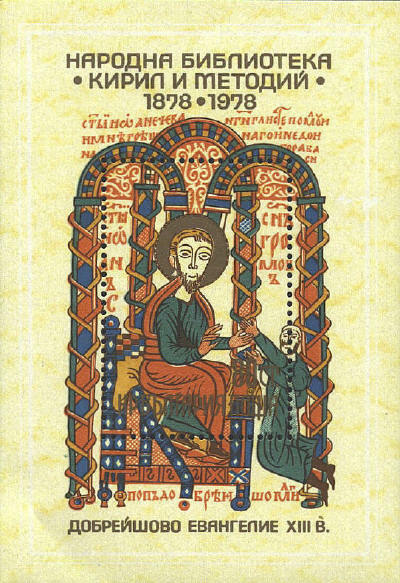 Texts are in Arabic, Armenian, Coptic, Ethiopian, Greek, Georgian, Slavonic and Syriac, published with a Latin, English, Italian or French translation. Currently the original text is available as a PDF and only the PO translation is a searchable. Original language texts will be searchable. Electronic version of one of Hungary's great encyclopaedias, first published between 1893 and 1897 in 16 volumes. Consists of more than 3,800 volumes in all areas of the Humanities, Social Sciences and Sciences. Site dedicated to fine arts in Hungary from the beginnings in the Romanesque period up to the mid 20th century. 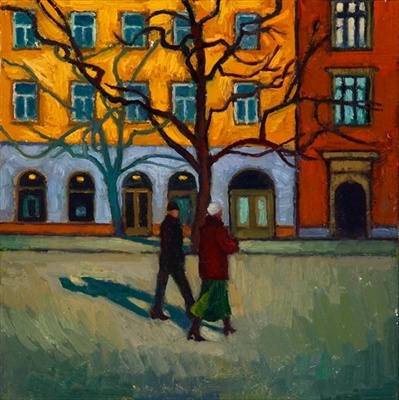 Hungarian collection includes 5100 images, while the international Web Gallery of Arts more than 10,000. Provides online critical editions, textbooks, biographies, and classical texts of Hungarian literature. Hosted by Loránd Eötvös University, Budapest. Founded in 1936 by Count István Bethlen (Prime Minister of Hungary 1921–31) The Hungarian Quarterly soon made a name for itself, thanks to contributions from the best Hungarian authors, English and American journalists and politicians who sympathised with post-Trianon Hungary. During the closing stage of the Second World War, fascists killed its editor and the journal ceased publication. The Kádár regime, wishing to improve its image, revived it in 1960 as The New Hungarian Quarterly. The journal reverted to its original name in 1993 after Hungary's return to democracy. Since then The Hungarian Quarterly has been politically neutral seeking to inform and provoke on a wide range of subjects – historians, economists, literary scholars, musicians and film- and theatre-goers will regularly find something stimulating. The database lists contemporary Hungarian authors and their biographies, bibliographical data and links to articles related to their works. Between 1961 and 2001 it was the issues of printed current National Bibliography that recorded the different document types. Since 2002 current matter has been available as an e-periodical. -all works published abroad in foreign languages with Hungarian aspects. The Library also collects literature connected with the Finno-Ugrian peoples - Hungarian belongs to this family of languages - and also literature relative to the neighbouring peoples and countries. In 1991, the University of Chicago Library received a gift of more than 15,000 volumes on the history and culture of the Hungarian people, donated by Louis Szathmary, a noted Chicago bibliophile and restaurateur. The majority of materials are in the Hungarian language, but the collection also contains nearly 1,500 volumes in German, Latin, French and English. Among the collection's greatest strengths are its unique works on the Hungarian nobility, the origin and early history of the Hungarian nation, the Turkish occupation (circa 1526-1675) and the history of Louis Kossuth and the Hungarian uprising of 1848- 1849. Other outstanding highlights of the collection include an extensive selection of books on the history of Hungary's capital--the twin cities of Buda and Pest--and a sizable number of books on the history of Transylvania. Further enriching the collection are the collected works of a wide variety of Hungarian authors, with particular emphasis placed on the prominent authors of the 16th and 17th centuries. Among this collection of belles lettres are many first and second editions, as well as many successive editions of an author’s complete works. For example, thirty separate works by Kalman Mikszath can be found in a variety of first editions published in Hungary and abroad, and the author Dezso Szabo is represented by 104 separate titles. The Central Archives of Historical Records was established in the year 1808. Historical records of the central authorities: Crown Archives and Royal Chancery Registers (from 13th till 18th century) are kept along with the registers of the local tribunals for nobles (from 15th till 18th century) and records of public authorities, offices and institutions from the period of Partitions (1795 - 1918). Here are also records of nobles families, individuals and their estates. Established in 1986 with a grant from the National Historical Publications and Records Commission, the Connecticut Polish American Archives (CPAA)Connecticut Polish American Archive (CPAA) collects, preserves and makes accessible documents related to the history of the Polish American community, with a special emphasis on the history of the Polish Americans in Connecticut and New England. CPAA is located in the Elihu Burritt Library at Central Connecticut State University in New Britain, Conn. and is an integral part of CCSU's Polish Studies Program. A bibliography of Library of Congress holdings of relevant serials, monographs and miscellaneous items. The European Division of the Library of Congress houses a significant collection of these publications. The collection began with original copies as well as photocopies donated by individuals. In 1991 Radio Free Europe/Radio Liberty presented the Division with additional materials largely published between 1988 and 1990. Since 1991, the Library has continued to acquire independent press publications through exchanges with several libraries in Poland. Includes an online inventory of its own archives, as well as links to the major archives of Poland, Europe and North America relating to Polish topics. Also includes an ORAL HISTORY COLLECTION 1919-1986, which includes speeches of politicians, lectures, biographical interviews, recordings of Polish folklore and religious ceremonies, workers protest songs, etc. Provides the texts of numerous works by important Romanian authors of all eras in areas such as philosophy; aesthetics; sociology; history; library and information science; classical; contemporary and popular literature; and literary history and criticism. Includes links to a digital library with full-text of books on archaeology, history, literature, performing arts, guides, etc. There are also links to various online databases related to archaeology, ethnography, monuments, museums, performing arts, etc. Part of the European History Project of the European University Institute, Florence, Italy. As well as chronological links, there are topical links, such as: Minorities, Biography, Demography, Women, Science, Politics, Economics, Anthropology, etc. Links to the poetry of hundreds of classical and contemporary Romanian poets.